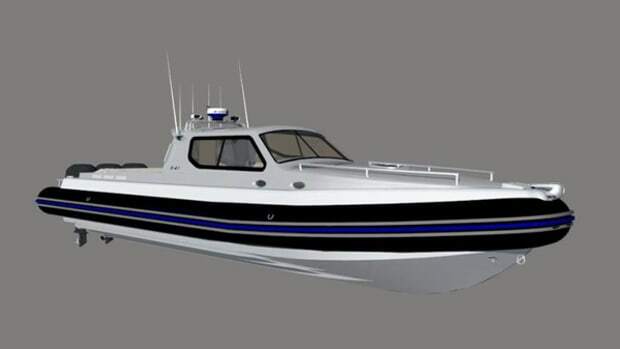 A new 50-foot Chaser RIB is set to revolutionize the market for premium multipurpose RIBs. 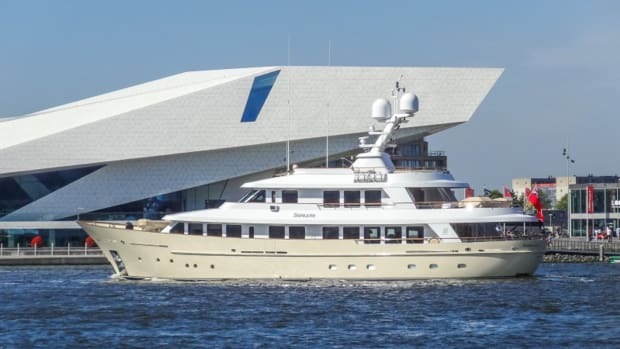 With a potent hull designed by Brett Bakewell and a stunning exterior and interior design from the boards of Guido de Groot, the Chaser is built by the experienced craftsmen at Vanquish Yachts in the Netherlands. 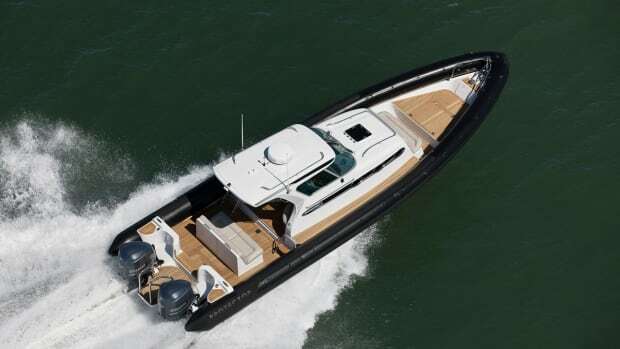 Drawing on a rich tradition of innovative boatbuilding, Chaser Yachts says it is the only company in this niche of the market to offer RIBS entirely in aluminum. This means every aspect of the Chaser RIB can be fully customized, from the layout and equipment to the colors, fabrics and materials. 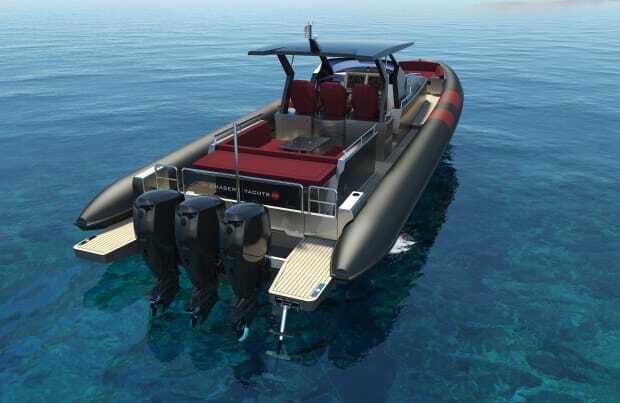 The Chaser RIB has a great deal of seating and reclining space for between 15 and 20 people to kick back in comfort, and its spacious deck layout optimizes freedom of movement. Extensive amenities on deck, such as a booming sound system and a large outdoor galley with a 20-bottle fridge, ice-maker and freezer ensure that guests are very well catered for. 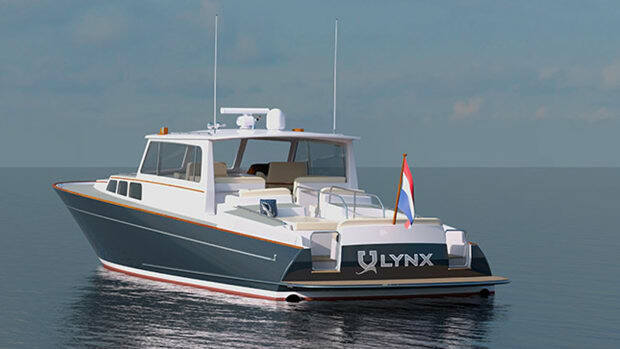 Moreover, the Chaser is designed in a way that ensures its passengers stay dry no matter what the ambient weather, and features a hardtop and optional bimini which provide protection against the sun when required. 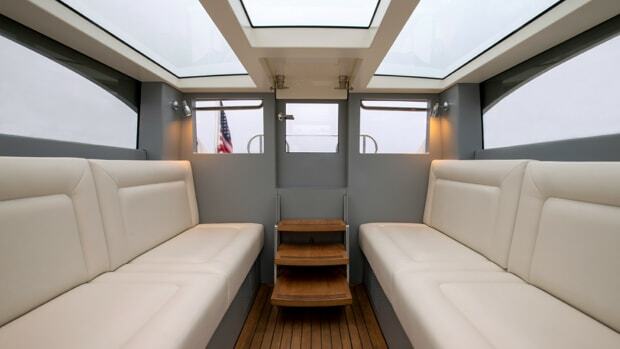 Below deck the striking interior comprises a settee which converts into a double berth as well as a bathroom with shower, washbasin and toilet. 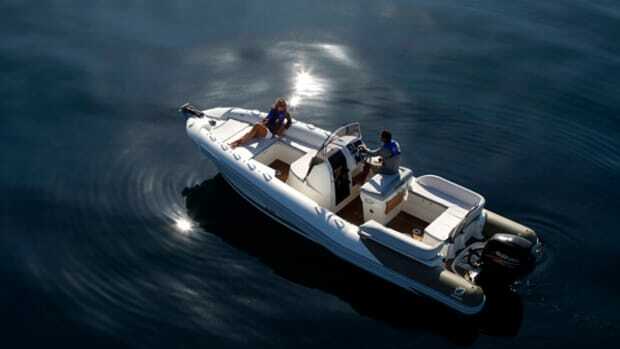 Triple 400-hp Mercury Verado outboards ensure that the RIB accelerates with tremendous force. A range of 600 miles makes the Chaser ideal for a wide variety of long and short trips, while a top speed of 55+ knots allows for quick and easy excursions: an outing from Miami to Key West need take no more than 2.5 hours, while Ibiza can be reached from Mallorca in just 30 minutes. 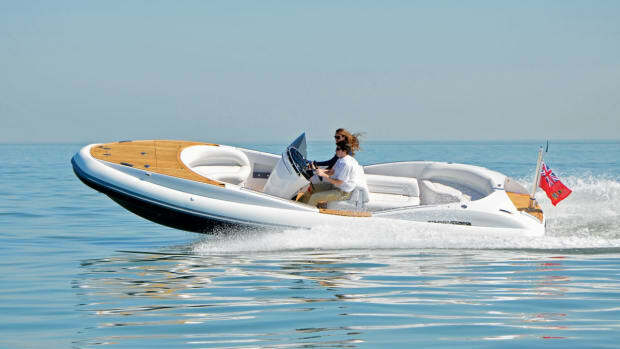 The Chaser’s rapid acceleration and excellent maneuverability also make it the ideal craft for all kinds of water sports, from water skiing to paragliding or wake boarding. 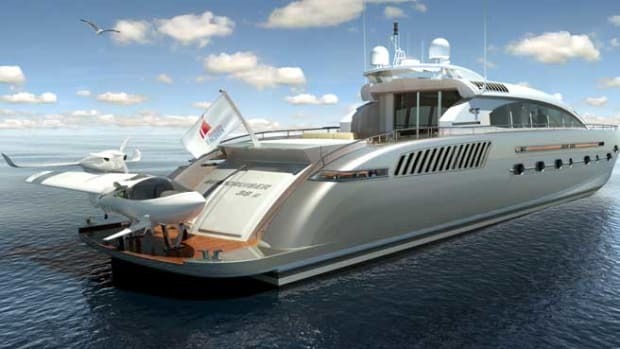 And it is very well suited for use as a superyacht tender. The aluminum construction means the RIB is maintenance-free and highly rigid, guaranteeing safety and comfort even at serious speeds. 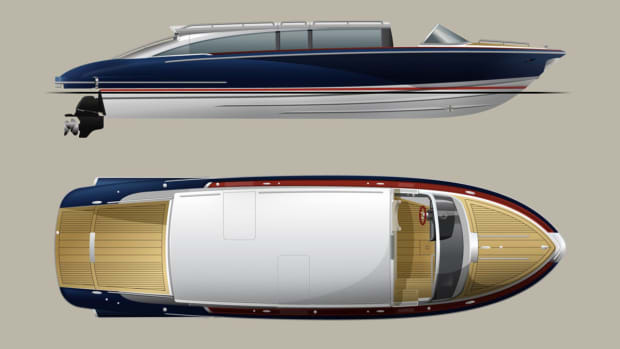 Despite the quality of design, luxurious materials and first-class ambience on board, the Chaser is very robust and can easily withstand the occasional bump. The Chaser RIB’s dynamic design exudes power and speed even when immobile. 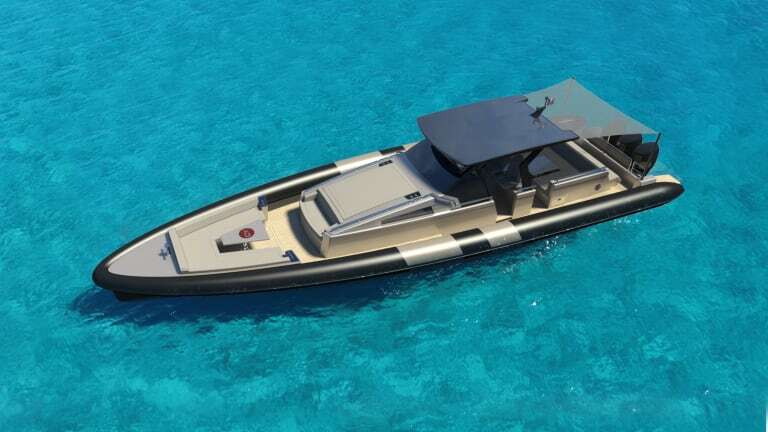 Its power, comfort and versatility mean that it occupies a truly special niche in the market and looks great in any marina or accompanying any yacht. Whether used for romantic crossings, island hopping, or big off-shore parties, the Chaser is a game changer.